Remember the old saying shown to the world in Shiv Puran; Energy need to be transferred to other form. It can be hidden within spiritual powers or leashed in any form of the matter present in the planet. But it cannot be destroyed. That is the dharm of Energy. 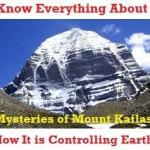 What is mystery for today’s materialistic people was never a mystery for ancient Hindus and Vedic Gods. Shree Ram Bhakt Hanuman and his several lilas are cited in various ancient texts; one of the most revered being Ramayan. 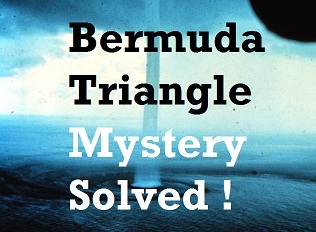 1 What is exactly Bermuda Triangle Mystery ? 3 What Made Ravan Immortal and Powerful ? What is exactly Bermuda Triangle Mystery ? 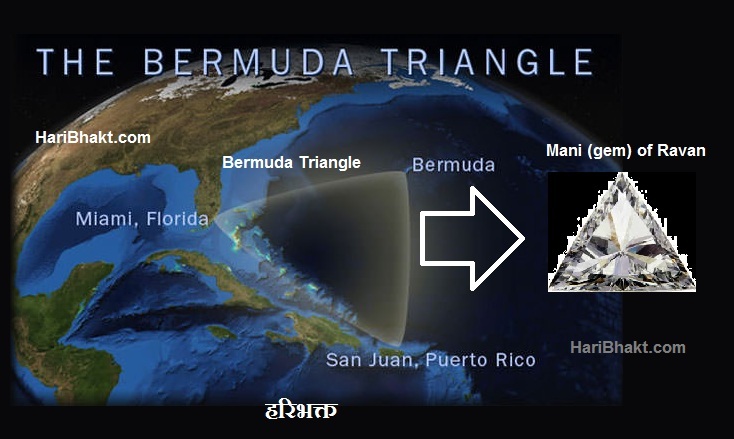 The Bermuda Triangle, also known as the Devil’s Triangle (thanks to a famous incident of Chhayagrahi and Shree Ram Bhakt Hanuman, a Rudra Avatar of Lord Shiv), is a loosely defined region in the western part of the North Atlantic Ocean, where a number of aircraft and ships are said to have disappeared under mysterious circumstances. No trace is ever found of these vessels – however huge they might be. The map of Bermuda Triangle defined by various countries differ but one thing that commonly stuns scientists and physicists across the globe is immense grabbing power of Triangle that defies common principles of physics that we teach in schools. Is the incident that we are seeing today in Bermuda Triangle reminisces of the past. If we deny past, ignoring Vedic history then we might never be able to find answers to such mystical powers which are beyond control of human senses or equipments. Imagine a situation wherein the grasping power of Bermuda Traingle suddenly stops do you think our future generations would believe us when we share the incidents with them- if we ourselves get habitual to denying Vedic history. We will fail to convince our next generation about such occurrences. It is better to accept the truth of past scientifically and build the future. The legacy that we define shapes the future of human race. 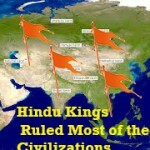 We should never keep religion over Vedic history. Whatever information we have in Vedas are for human race and we should be thankful to Indians and especially Hindus for recording every ancient incident for us, which is pathmaker for all of us even today. Demoness Simhika did dhyan for thousands of years of Lord Brahma (जगत्-पिता ब्रह्मा – creator of Universes and Planets). Lord Brahma pleased by her bhakti asked about her wish. Chhayagrahi (Simhika) wanted to have controlling powers wherein she could be able to grasp anything towards her. Thereafter, the demoness was bestowed with the boon of grasping any object or being, however powerful it might be, by Lord Brahma. She was famously known Chhayagrahi because she had the mystical power of pulling any object/entity with a glance at the shadow of the object. She had huge body and was capable of swallowing bigger objects that she can easily pull towards her. Due to this, no one dared to travel passing nearby her. 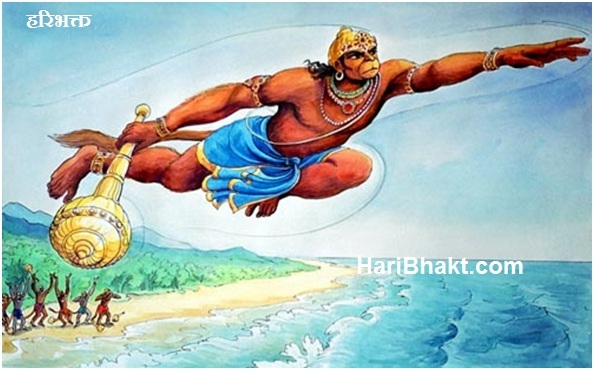 When Jambavan (Jamwant) guided Hanuman to cross Indian Ocean then Hanuman started flying over the Indian Ocean to search for Seeta Mata, he felt his speed slowing down, feeling powerless, under immense invisible pressure. Sundar Kand from Ramayan (which is also proof of existence of Bhagwan Ram) contextualizes the incident to sinking ship. mahaa nauriva = like a great boat; saagare = in the ocean; pratilomena = (with) opposing; vaatena = wind; asmi = I am becoming; samaakshiptaH = pulled; tarasaa = forcefully; paJNuutaparaakramaH = with disabled power. Later on seeing here and there, up and down, Lord Hanuman sees floating demoness pulling his shadow towards her. Lord Hanuman killed her by decreasing the size of his massive body and entering her mouth later destroying her internal organs. Hanuman fled with the speed of his thought. (Imagine how fast we think, here Hanuman Ji is taking flight with speed of his thinking). Thinking is faster than speed of light, we might take time to reach moon even with the speed of light, but we can think about moon in milliseconds. tataH= then, vaanaraH= Hanuma, utkR^itya= rending, marmaaNi= internal organs, tasyaaH= of Simhika, tiikshNaiH nakhaiH= with sharp nails, atha= and after that, utpapaata= flew up, manaH sampaata vikramaH vegena= with a speed equal to that of thought. 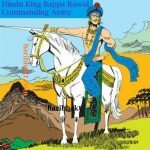 Another incident that draws attention of readers of Ramayan is when King Ravan is killed. What Made Ravan Immortal and Powerful ? Ravan was very intelligent, brave and trilok vijayi (winner of all three lokas). With his dhyan, penance, austerity towards Shiv Shankar, he got several boons which added to his strength making him almost invincible. During his rise, no living god or human being could dare to fight with him. The secret to his massive strength was due to blessings of Lord Shiv. He was also gifted gem (which helped in re-generation of nectar at his navel). This made him amar (immortal) and no one could kill him. It was important that the gem be taken back from him so that nectar from the navel could be soaked to kill him. Lord Shiv knew that Mandodari, great wife of Ravan, was aware of the place where Ravan had hidden that mani (मणि-gem). Mandodari was devout wife of Ravan and also devotee of Lord Shiv. Lord Shiv took appearance of a Sage and went to meet Mandodari. He blessed Mandodari, then Mandodari thought of giving dakshina to Lord Shiv. Lord Shiv in the form of Sage asked for the mani (मणि-gem) from Mandodari. No devotee of Lord Shiv could ever say no to the Sage for dakshina. Mandodari knew that secret of mani is only known to Lord Shiv, Ravan and her. She understood that Sage is no one but Lord Shiv himself. She gave the mani to Shiv Shankar as dakshina. She came to know that the Ramlila is about to end with the death of Ravan. After this incident there was no doubt left that Ravan will be killed easily by Bhagwan Shree Ram. Lord Ram killed Ravan by firing Arrow of Brahma at the navel of demon king of Sri-Lanka, Ravan. This arrow of Brahma was given to him by Sage Agastya. The arrow of Brahma burst Ravan’s navel, and returned to Ram’s quiver. This made Ravan lifeless and he fell down to the ground, the nectar of immortality soaked from his navel and this led to his death. The gem was very powerful, after death of Ravan, it became imperative that the gem be placed in a zone that absorb its energy and uncontrollable power. The gem was so powerful that its presence could impact future generations too. Rambhakt Hanuman Ji was giving the task of placing the mani to the depth (core) of the ocean bed, very deep so that its impact could be minimized and diluted. The mani was placed in the deepest core of Ocean of that time which today is known as Bermuda Triangle. The immense grabbing power of mani is the main reason which pulls down the objects flowing or floating nearby or above Bermuda Triangle zone. NOTE: We were first to reveal the connection to Bermuda Triangle on internet with the blessings of Bhagwan Krishn..later shamelessly speaking tree, dainik bhaskar, news24 copied our content without citing reference to this original article. Even youtube videos are created based on our content. great blog. I respect the owner. keep up the good work. We have seen several sites and television news channels now citing the same incidents several times. We were first to report this on internet, it is because of blessings of Shree Krishn and support of our brothers and sisters like you. Jai Sri Ram: Sir /Madam i have a doubt reg the Gem. 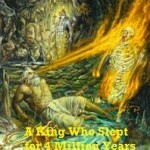 As you told that the gem was the source of nectar regeneration within Ravan’s naval how could this be related to having the power of gravity pulling of objects, secondly the Demon Simhika was killed and with that the demon, the shakti and Lord Brahma’s boon was fulfilled and later nullified by Sri Hanumanji. So my doubt is how are these (i.e Simhika who is dead and the Gem of nectar related to bermuda?). either the bermuda should have the sister of simhika or it should have any other reason. Please enlighten me on this. 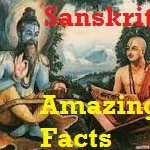 Nice things to learn on this site, almost on all topics of hindu gods. good job. keep it up!!! a simple way is collect history of those speaches given by them. and explain people about their evil deeds. prove that pakistan is trying to do degative to india. every one in the world knows it. we can prove it literally by taking writings in pakistan about india . knowing political parties which are supporting terrorism for the sake of muslim votes.one you get the list collect proves such as their speaches and publicise them. if lie detector test is conducted for muslim leaders we will get only one answer that their aim is to do negative to us. negative will be destroyed if positive comes against it. curing disease in early time is good. but now the disease has been spread all over the country. if we still keep quite, we may loose some other people. i dont want to tell all the things in public. that is the reason i said mail me sir. i dont think things will go better if we keep quite. read a mlechga comment on us. shiva, what about notorious and cunning zakir naik who is mis guiding people through his speaches. the ulr i copied is about our mother maa durga. serials like those should be given support and encouraged. but when i read the comment of mlecha i feel that they are not at all afraid of speaking nehativity in public.if you read that comment sure your blood speed increases 100times with anger. the comment is such worst. they are barking because no one is raising voice against them. a mlecha who did evil comments on gomahta deserve to be burnt in public but he is now in parlimant. in public at that speach no muslim apposed his evil speach this mean muslims are supporting him this is aliteral proof to say that muslims in india are supporting terrorism. I am only about 18 years old,but I have curiosity that in Gita ,lord Krishna said that I do all work whatever happens in universe ,then if we do wrong why we are responsible for that.I have many questions after it but give answer of it firstly. Bhagwan Krishna (Bhagwan Vishnu and his incarnations) is responsible for all the leelas wherever establishment of Dharma is necessary during end of Yugas. For the leela, several demigods and deities actually take birth to be part of it with Shree Krishna (Bhagwan Vishnu). But for common lives that we all lead – EVERYTHING DEPEND ON OUR KARMA AND PRARABDH. Karma is the deed that we perform in our daily lives. Prarabdh is the accumulation of deeds which pass from one life to another, that is why you might have seen even good natured people facing problems in life due to their Prarabdh. We all have to obey the principles laid by Bhagwan. Infact, Bhagwan himself follow these principles, in the form of Shree Ram, he lead simple and struggling life in exile for 14 years (Bhagwan had to fight with several demons during this exile). Bhagwan could have avoided it, but he followed principles of Mrityulok, no one can escape it. Similarly there are hundreds of such incidents when Bhagwan Krishna, Bhagwan Ram and Bhagwan Shiv faced several situations on earth just to abide by the principles laid by them. Remember, Bhagwan always follow truth, and unfollowing principles would mean lying it. Only longterm selfless bhakti towards Bhagwan Krishna can reduce after effects of past Karma and Prarabdh to some extent depending on the enormity of the sin. There are many nuances to it. Worship Bhagwan selflessly and you find peaceful solutions to your problems easily. Yes Bhagavan Sree Krishna has stated that He is the controller of the universe and that not even a leaf moves without His will. But we jivas are given free will to do actions. An example is given” Just like when a young boy is in love with a young girl, he might like her soooo much but if she does not like him, or she doesnt want to meet him will he force her? No, he wants her to love him by herself real love. So in the same way Sree Krishna Bhagavan He does not want to interfer with our actions. The Lord loves us and it pains Him to see us commiting sins but He gives us free will.” I hope that answerd your question. I want to know how vaanaras (monkeys) can marry humans? vali sugreeva….they are vaanaras but wife is woman. not vaanara. why? is there any possibility family relation between vaanara and woman? Vaali was son of Indra. They were married but did not consume it like humans of today. The women whom Sugriv and Vaali married were cursed to become Vanaris. The birth they gave to the children did not happened due to natural process of reproduction. I just want to know if the Hanuman ji is Amar, then why he is not saving the life of Innocent people, who unnecessarily become victim. as we know there are many planets in our universe. No one can escape prarabdh (fate/destiny: which is resultant of past/present karmas and deeds). If someone commited heinous crime, then the person is bound to face the repercussions sooner or later. Praying to Hanuman Ji and Shree Krishn can reduce the enormity of the punishment – cannot completely ablolish it until that person becomes Sage, renouncing material prosperity to lead pious life. Today’s victim are paying for the sins that they commited earlier in life or past life. The gem was obtained by the resident of this mrityuloka, in this case, Ravan, so it cannot happen that the goodness of gem benefits the resident of this Loka while the adverse effects are passed on to other Loka. What Hanuman Ji did was right – no Bhakt of Shree Krishn or Bhagwan Shiv would ever want them to bear the brunt of such things. 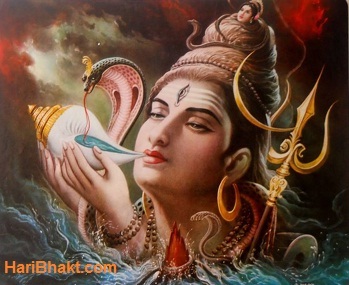 It only happens as last resort – as in case of Vishpaan – when no one was able to diminish the effect of Vish during Samudra Manthan, Bhagwan Shiv came forward and sipped the poison, keeping it in the middle of his throat. The poison, halahal, could have destroyed the entire world and no one could have stopped it so Bhagwan Shiv came forward. Mind you, Shiv did not drank – not because it could have caused problem to Bhagwan but Shiv Ji does not wanted Shree Vishnu (Krishna) to feel the poison as Bhagwan Vishnu resides in the heart of Bhagwan Shiv. So out of respect towards Vishnu, Bhagwan Shiv bore the impact of poison on his throat. If the issue is extensive and universal then we need Bhagwan’s intervention. Rambhakt Hanuman would never have wanted Shree Krishn or Bhagwan Shiv to work for the things which can be accomplished by him. Hanuman is epitome of great Bhakti, what he did was perfectly correct. 2nd incident can be true but in first incident, simhika was in indian ocean and bermuda triangle is in north atlantic ocean. how is it possible the the bermuda triangle represents simhika. We already replied in similar comment to yours. The antipodal position (opposite side) of the Bermuda Triangle is located in the Indian Ocean. Why would Hanuman ji go near US Carribean sea (Bermuda Triangle located here)to find Sita Ji, He should go near Srilanka. With super powers Sages and Demigods were able to travel the opposite direction of the earth through sea or underground routes in shortest span of time. Whenever Hanuman Ji was reminded about his powers and strength, he was blessed that he can perform any task. To Protect Bharat Varsha, placing Ravan’s mani in Bermuda Triangle made more sense than keeping it in the depth of Indian ocean or nearby Sri Lanka to dilute the massive impact of Ravan’s mani. the theory you proposed is might be true but there is any evidences to it. Science needs proof to satisfy our material senses. Anything that needs sense gratification is primitive, too small, illusive – gripped by Maya. Spirituality is beyond illusion, need strong belief and high consciousness, there are many things esp. those which occurred millions of years back, cannot be easily proved. So believing in the Ramayan and Vedic texts is the only option. Also as a matter of fact, it is already proven with several artifacts, structures that Ramayan indeed happened. So the incident that post refers happened during that period. Our Kaliyugi Science is very primitive compared to consciousness and Vedic spirituality. So the enormity of consciousness and Vedic spirituality is not boundable within perimeters of present science. 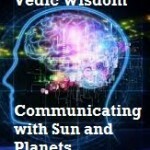 We should take this vedic project to extreme level and should prove that Vedas are ultimate in universe. I got no reply Shiva. We should all if united can do any thing. Every time I remember of ayodhya my blood was just like liquid fire. We should do some thing Shiva. Because we are capable of doing any thing. Inspiring from parashuram we should go further. Please suggest what is your plan.